Which Professional Athletes Use a Sports Chiropractor? What Are the Educational Requirements of a Sports Chiropractor? What Kind of Care Does a Sports Chiropractor Give? What Types of Treatments Do Sports Chiropractors Offer? How Do Sports Chiropractors Compare with Other Sports Medicine Providers? How Do I Know if I Should See a Sports Chiropractor? Please include attribution to http://www.p2sportscare.com/ with this graphic. Chiropractic medicine was founded in the late 1800’s. Since that time, especially in the past few decades, it’s a practice and profession that’s shown exponential growth and steadily gained popularity. As has happened with both traditional medicine and dentistry, subspecialties of chiropractic care have developed allowing chiropractic physicians to specialize and gain enhanced training to handle the needs of special populations of patients. One of these groups of specialized providers is the sports chiropractor. A sports chiropractor is a highly trained and extremely knowledgeable provider of chiropractic medicine that has advanced expertise in both the prevention and rehabilitation of sports related injury, advanced training in the use of musculoskeletal imaging studies, in addition to expert level knowledge in sport-specific strength and conditioning techniques and optimal biomechanics. This article will help you better understand exactly what a sports chiropractor is and does, discuss the rigorous educational requirements of a sports chiropractor, compare and contrast the profession with other sports medicine practitioners, and lastly, help you decide if and when you need to seek the care of a sports chiropractor. The first school of chiropractic medicine was founded here, in the United States in Davenport, Iowa in 1897. The philosophy of care in chiropractic medicine is focused on the overall wellbeing and optimized general health of an individual. They focus on disorders of the musculoskeletal system and nervous system and the effects that these conditions can have on one’s general health. The overriding principle of care is that structure affects function. Many people think of chiropractors as “bone crackers”. This is truly an oversimplification. In order for the body to function properly, it must be properly aligned. The cornerstone of chiropractic care is spinal manipulation. It is a highly technical and specific method used to re-align the vertebrae, the bones of the spinal column. Spinal manipulation restores proper musculoskeletal structure (alignment), which allows the body the opportunity to heal itself. In addition to spinal manipulation, many chiropractors also incorporate therapeutic and rehabilitative exercises along with nutritional, dietary and lifestyle modification counseling into their care. Chiropractic medicine is a non-surgical approach that emphasizes drug-free pain relief and approaches evaluation and care from a global perspective, employing many different modalities to achieve and maintain optimal health. With its speedy growth in popularity and recognition by almost all other branches of medicine, more and more research is being done demonstrating the benefits of chiropractic care. It is a branch of medicine that mainly uses evidence-based practices, meaning that it employs techniques and treatment algorithms that have been shown by controlled research studies to be statistically effective for the problems they treat. Today, many patients are under the care of both a medical and chiropractic physician. While both forms of medical care offer unique and different perspectives on optimal treatments to maintain health, they often compliment one another. Patients find they like they the more global approach to ideal health and appreciate the unique perspectives and recommendations that both types of physicians can offer. Chiropractors employ drug-free modalities to treat pain. Traditionally, most competitive athletes were taken care of by medical physicians specializing in orthopedic care. While these physicians are certainly experts in the anatomy and surgical repair of musculoskeletal injuries, many athletes were interested in care that emphasized the prevention of injury and optimization of performance. Because of their foundational training in how structure relates to function, chiropractic physicians were a natural fit for this role. Since then, sports chiropractors have been a staple of the training regimens of Olympic athletes. They have also become part of the training programs for many other professional athletes. While all of these athletes still depend on traditional medical care in addition to the care of a sports chiropractor, many professional sports organizations now recognize the important contributions that an interdisciplinary training approach brings to elite athletes. While the road to this harmonious union hasn’t always been smooth, the enhanced training and injury prevention that the addition of sports chiropractic care provides for these athletes has cemented its place in the world of professional sports. The list could continue, but you can get the idea that many top-level athletes use and in fact, rely on routine chiropractic care to keep them at the top of their game. How can spinal manipulation be so important to elite athletes? If you’re asking yourself this question, you’re missing the forest for the trees. Yes, sports chiropractors are Doctors of Chiropractic, but they offer much more than just spinal manipulation! The comprehensive care they can provide goes SO much further for their patients than that! Imagine having someone who is highly trained in the anatomy and musculoskeletal structure of the body who also has in depth knowledge of exercise physiology, strength and endurance training, nutrition, rehabilitative and therapeutic exercise, deep tissue massage and advanced soft tissue techniques, all in combination with an in depth understanding of the biomechanics, balance, stability and muscular coordination necessary to play elite level sports. Now you’re getting a better picture of a sports chiropractor. A sports chiropractor is a Doctor of Chiropractic (DC), which means that they have completed a four-year, doctoral graduate school program at a nationally accredited institution. This training includes a minimum of 4,200 hours of curriculum that consists of classroom, laboratory and clinical internship time. In addition to this basic training in chiropractic medicine, a sports chiropractor can have two further educational certifications: CCSP® and DACBSP®. CCSP® stands for Certified Chiropractic Sports Physician and is a certification that requires additional training and testing beyond the doctoral (DC) degree. The sports chiropractor is much more than a DC; the advanced training they receive through the certification process gives them expert level knowledge in the field of sports medicine. Sports chiropractors treat high-level, elite athletes, but they can and also do treat everyday people and everyone in between too. No matter who what level your at, a sports chiropractor can take care of everything from rehabilitation of an injury to helping you achieve a PR. Many sports chiropractors treat common, overuse injuries. Runners who suffer with hip, knee or foot injuries or pain, overhead athletes like volleyball, baseball and tennis players who have shoulder or upper extremity injuries or pain and sports traumas, even concussions are managed by sports chiropractors. They can evaluate, diagnose and treat just about any sports related injury or performance issue. Sports chiropractors are trained to use multiple imaging modalities such as x-ray, CT, MRI and Musculoskeletal Ultrasound to evaluate for injury and track the progress of rehabilitation. While physical therapists are still the main provider of rehabilitative care in a postoperative scenario, sports chiropractors can and often are used in the evaluation of preoperative patients prior to orthopedic surgery. Most sports chiropractors are athletes themselves, so they may gravitate towards or work more with a certain type of athlete just because they have first hand knowledge of the sport’s commonly incurred injuries and its physical demands. This type of experience is invaluable to someone suffering with an injury, not only from a practical knowledge standpoint, but also from the psychological boost that comes from working with someone who’s personally, successfully rehabbed from the same or similar injury in the past. Many sports chiropractors (if not all) will practice what they preach. They understand the holistic benefits of healthy diet and lifestyle not only in the world of sports, but in everyday life as well. 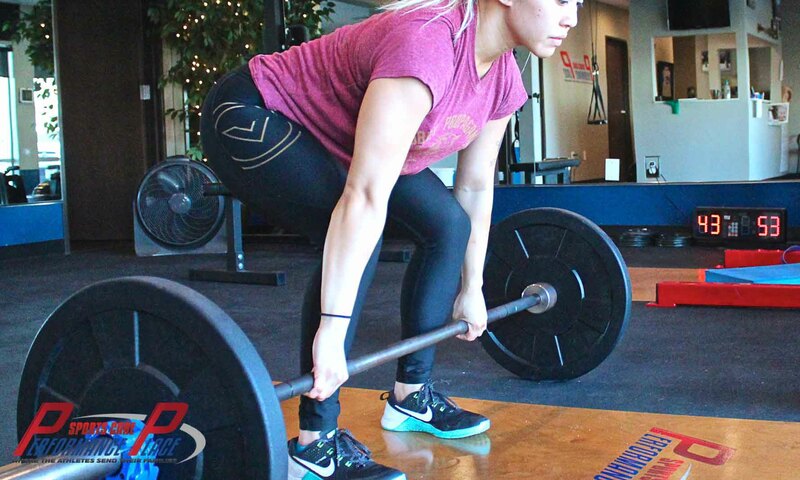 They are hands on teachers with in-depth knowledge of anatomy, strength and endurance training as well as correction of improper biomechanics through strength and conditioning. They’re intimately familiar with the techniques they use because they use them themselves. A good sports chiropractor understands the fundamental biomechanics involved in your sport. This in-depth knowledge allows them to not only better diagnose and differentiate common sports injuries, but also formulate a more effective treatment plan if you are injured, or better yet, get you on a plan to prevent injury. A sports chiropractor will still do spinal manipulation, if needed. 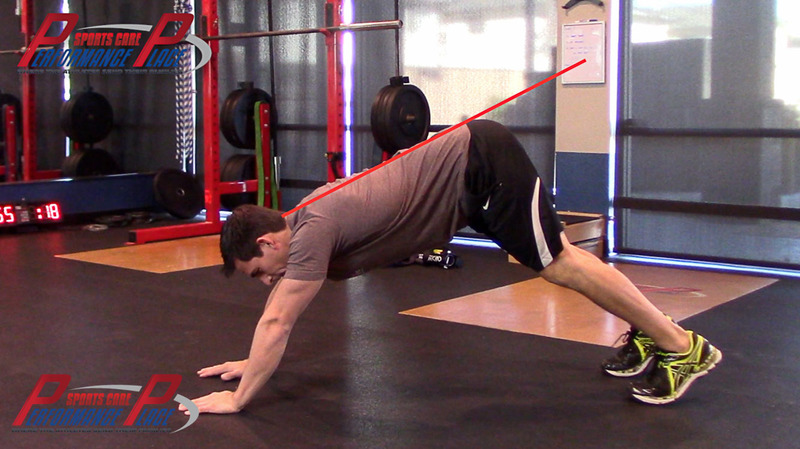 They will also evaluate and adjust joints that may demonstrate limited range of motion due to restriction. But that is just the beginning. Sports chiropractors may also employ many other traditional therapies such as ice, rest, compression and immobilization depending on the injury or condition being treated. While the evaluation, rehabilitation and treatment of injury are often the focus of a sports chiropractor, it’s not the only thing they do. 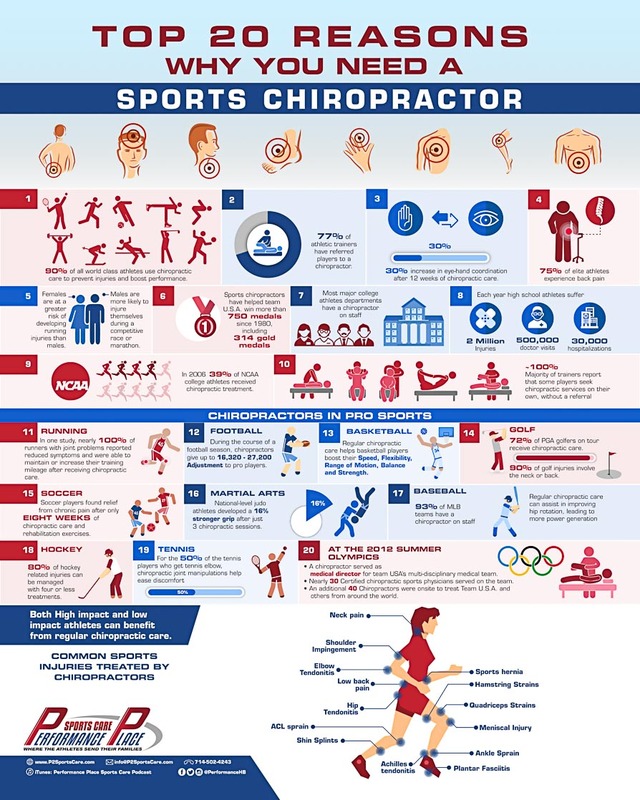 Many athletes at all different levels will seek out a sports chiropractor to enhance their training and performance and prevent injury through using any or all of the techniques listed above and more. Many have advanced knowledge of nutrition and can help with missing pieces of an athlete’s diet that may be keeping them from reaping the full benefits of their strength training. They may also recommend vitamins and supplements as part of their training program to enhance and maximize their results. Because the overall focus and goal of a sports chiropractor is to promote and restore proper biomechanics, strength and optimal function, they are the perfect choice for any athlete at any level! The expertise they provide can be applied to almost all aspects of athletic training which makes them invaluable in the world of sports medicine. Hopefully by now, you have a really clear idea of what a sports chiropractor is and what they do. Let’s take a look at some of the similarities and differences between a sports chiropractor and some other providers. The point of this section is not to dissuade you from using the services of any of these other highly trained, skilled professionals. Again, there is value in having an interdisciplinary approach to care. Rather, our goal is to relay some points of education for you to consider if you’re not sure whom you need to see, and when and why you should seek their help. There are many similarities and overlaps between these two providers from a standpoint of what they do in the real world, but there are also some important differences in philosophy and training that you need to be aware of. Let’s start with education first. We really detailed the education requirements of sports chiropractors in the previous section. Most PT programs now offer doctorate level educational degrees (DPT). This means that in addition to an undergraduate degree, a PT will spend 3 years in a post-graduate program. From there, they may also go on to specialize in certain areas of care by completing a residency program. Both PTs and sports chiropractors are board-certified by their respective national accrediting associations, and each must have valid licensure to practice in his or her state. In terms of the way they practice, both can be very similar. Both groups practice by evidence based guidelines, which means they have valid research that supports the rationale and efficacy of the methods that they use. PTs are not trained in the “chiropractic adjustment”, but they are trained in “spinal manipulation,” which can be used to assist in motion to the joints when needed. Both may use soft tissue manipulation techniques and joint adjustment/mobilization in their therapeutic regimens. Many sports chiropractors are trained in the use of biomechanics, improvement of movement patterns, exercise rehabilitation, physiotherapy, stretching, passive modalities (ice, heat, compression, etc), strength and resistance training. PTs may have this training and knowledge as well, but it can vary depending on their area of specialty. Both PTs and sports chiropractors have advanced knowledge of the neurological systems and how they relate to musculoskeletal structure and function. While both can sub-specialize in neurology, sports chiropractors tend to have more foundational knowledge in these areas in their relation to athletic performance. While PTs specializing in sports medicine may also share this expertise, sports chiropractors have deep insight into the areas of balance, muscle coordination and memory, core stability and proprioception and how these facets of movement affect training, performance and the potential for and prevention of injury. PTs may specialize in the treatment of neurologic disorders and injuries such as Parkinson’s, Multiple Sclerosis, Cerebral Palsy and Traumatic Brain Injuries. PTs and sports chiropractors can both see and treat patients of all ages, but PTs may also be specialized in areas such as women’s health and geriatrics. PTs may also specialize to treat patients suffering with long-term, chronic debilitating conditions such as Heart Failure and Chronic Obstructive Pulmonary Disease (COPD). In terms of injury rehabilitation, both PTs and sports chiropractors are excellent choices. Both practitioners have expertise in the overuse injuries, and frequently treat them in their practices. With proper post graduate education either a physical therapist or a sports chiropractor can focus on sport-specific strength and conditioning techniques that can keep you on track with your training and even give your performance a boost. Sports chiropractors are DC’s, which means they all have general training in nutrition and how it relates to health. PTs may or may not have this foundational knowledge, depending on their undergraduate background and area of residency training. These two providers are less overlapping in terms of how and what they do to take care of their patients. Often, an athlete will incorporate and use the skills of both to train, rehab and/or prevent injury. A massage therapist may be on staff at a chiropractic office; they often are part of the care team for professional athletes in addition to a sports chiropractor. Massage therapists who successfully complete a training program at an accredited massage therapy school can apply and obtain licensure to practice in their state usually after passing a nationally standardized licensure test. Not all states require licensure, however. A board exam is available for massage therapists, but currently, it is a voluntary test for those wishing to seek higher credentialing as a massage therapist. While trained to use various techniques, sports massage or deep tissue work is usually the preferred treatment of athletes seeking the care of a massage therapist. These are therapeutic methods that all help stimulate circulation, reduce inflammation and help relieve spasm, which all help reduce pain and promote healing in the scenario of an injury. This type of massage can also promote increased flexibility and range of motion. Sports chiropractors are not massage therapists, but are often trained in and use deep tissue massage in their care routines. A sports chiropractor may also use more advanced soft tissue techniques such as Active Release Techniques® or Graston Technique which require additional training and certification to perform. These techniques differ from deep tissue massage in that they reduce and prevent adhesions, which is scar tissue within the muscle. Any and all of these techniques are important to the rehabilitation and prevention of sports injury in athletes, and should be part of their training and routine care. Therefore, a sports chiropractor may use many of the same or more soft tissue manipulation techniques as massage therapists do in the care of their patients. They can be considered more of a one-stop-shop for those who need this type of care in their training and/or rehabilitative programs. Since we have already covered some the differences and similarities in education of these two in the above section, we will dive straight into the training and practice differences between them. First though, let’s hash out some of the differences between an MD and DO. Without getting too specific, both are medical doctors. Both apply for and train in the same residency programs and both will sit for the same national board exams. In short, in the real world, you may not see much of a difference in an MD or DO, except for the different letters behind their names. The difference is in what type of medical school they went to. MDs go to allopathic schools, which train in conventional, western medicine. MDs can and do specialize and practice in both orthopedic and sports medicine. DOs are “Doctors of Osteopathic” medicine. They go to osteopathic schools, where their training is essentially the same as that of an MD, with the exception that their curriculum also includes Osteopathic Manipulation (OM). OM is a practice similar to Chiropractic in that the underlying principles are that function is dependent upon structure and the body has an innate ability to heal itself. Osteopaths can almost be thought of as a mix between an MD and DC. While some DOs incorporate OM heavily into their practices, but many do not. Many DOs share the same function as MDs in the medical setting. DOs can specialize and practice in any area of medicine, not just orthopedics and/or sports medicine. Now, back to sports chiropractors and medical doctors. To put it very simply, these two can have different approaches to the treatment of injury, depends on the doctors. As we’ve discussed before, chiropractic training and care is a more holistic, natural and drug-free approach to pain and injury that utilizes numerous techniques and modalities. Medical doctors typically operate more as a “quarterback” for the rehab team. Many MDs are great at diagnosing but they will have to “hand-off” the application of non-medicated types of treatment plans. This “hand-off” can be to a PT or a Sports Chiropractor. MDs have more formal education in pharmacology and can rely more heavily on the use of drugs and surgical intervention as an approach to treating both. Medical doctors are aware of soft tissue techniques, but do not practice them themselves; they may or may not routinely refer to massage therapists or PTs for this. They also may have some knowledge of nutrition, but often refer to a registered dietician for counseling and services in this area. There are some medical doctors that specialize in the area of sports medicine. This is not a specific residency program (required of MDs and DOs) after medical school, but rather a 1-2 year fellowship program where they can get further training and experience with sports injuries. Usually, these medical doctors will come from one of two types of residencies: primary care based (family practice, internal medicine, pediatrics) or orthopedic surgery. Non-surgical, primary care based sports medicine physicians have advanced training and skills at evaluating and treating sports injuries; while their training places heavy emphasis on orthopedic surgery techniques, they don’t do surgery. The surgical sports medicine physician is typically an orthopedic surgeon whose fellowship training involves advanced, specialized surgical training to repair specific orthopedic injuries (i.e. shoulders or knees). Many professional athletic organizations will utilize the skills and knowledge of both medical doctors (primary care and surgical sports medicine) and sports chiropractors. Instead of thinking of them as competing sources of care for an athlete, they can often be complimentary to and of one another. Obviously, there will be times when surgical care is the only option for an athlete, but a sports chiropractor can be heavily involved in the routine training and conditioning programs, preventative and rehabilitative care that they need as well. Many of the previous sections have hinted at the differences between what a sports chiropractor does differently from a general chiropractor. If you are interested in seeing one or the other, there is some additional terminology that may help you determine who offers the services that you’re seeking. Generally speaking, chiropractors will fall into one of two groups: conservative or liberal. These are often referred to as “straights” or “mixers” respectively. Conservatives or “straights” tend to focus their practices almost exclusively on spinal manipulation. Liberals or “mixers” use a much more broad range of interventions and treatment modalities for their patients. The main difference between straights and mixers is twofold: philosophical approach and mainstream usage and acceptance. At one end of the spectrum are the straights and at the other, the mixers. Many chiropractors fall in between as well. Straight chiropractors adhere strictly to the teachings of the founder of chiropractic medicine, D.D. Palmer. They believe that subluxation, or misalignment of the spine, is the sole cause of disease and bodily dysfunction. Therefore, spinal manipulation is really the only form of both disease and illness prevention and treatment. Because of this, straight chiropractors really don’t even recognize disease states, because to them, “disease” doesn’t exist; it is simply a secondary manifestation of subluxation. The number of these types of practitioners in the U.S is low. They comprise about 15% of all chiropractic providers.6 These practitioners often completely reject mainstream medicine and therefore, are really not integrated into the modern healthcare system. On the opposite end of the spectrum are the mixers. These chiropractors provide a wide array of therapies and use many diagnostic tools to aid in the evaluation and care of their patients. They may provide homeopathic remedies such as acupuncture, herbal remedies and natural supplements for their patients. They are skilled at the use of imaging exams such as x-ray to help diagnose, treat or reassess a patient’s condition or response to treatment. They may work with a PT or recommend exercise as part of the therapeutic regimen. While they still believe in and use spinal manipulation in their practices, they also very much believe in following mainstream medical research when evaluating and treating their patients. They are also very interested with overall health and well-being, and utilize therapies that avoid the use of drugs and surgical intervention to treat painful conditions and injuries. These practitioners are highly integrated into the modern healthcare system; they truly see themselves as complimentary, yet alternative medical providers. The sports chiropractor is very much a mixer. By incorporating the basic chiropractic principles into an evidence-based practice that focuses on strength and conditioning, exercise rehabilitation and physiotherapy, sports chiropractors have a broad and deep range of knowledge and skill that blends many elements of evaluation and care. The very, very short answer to your question is yes; anyone can benefit from seeing a sports chiropractor! Whether you are a recreational, amateur or professional athlete, seeking to rehabilitate or prevent an injury, a sports chiropractor can help you. Or maybe, you just want to find a great strength and conditioning coach with advanced knowledge of your sport that can help you train to get to the next level or help prevent common, overuse injuries in your sport? If so, a sports chiropractor has the right background for that too. Hopefully, you’re not an athlete who can’t get a straight answer, or has seen numerous providers, yet come up empty on a definitive diagnosis or treatment plan that’s helped you. But if you are, a sports chiropractor may be just the kind of provider you’re looking for. If you’ve read to this point, then you understand some of the key differences in philosophy, training and techniques that are used by sports chiropractors and other sports medicine providers. While they may not be the choice of every athlete, they certainly are highly qualified professionals who can help you with nearly every facet of sports-related care. By now, you should have a very good list of questions put together when meeting with someone to help you decide who you want to take care of you and why. Know what your goals are and what services and skills are important to you. Make sure you ask enough detailed questions of your prospective practitioner to ensure he or she is a good match for you. If you still aren’t sure whom you should see or where you should go, then perhaps give us a call. While we can’t discuss specifics of your particular case over the phone or give care that way, we can certainly discuss broad issues related to your suspected or confirmed diagnosis and perhaps provide a perspective on your particular goals or situation, whichever the case may be. If you’re ready to see someone and get started, then we’re here to help! In the end, you are the only one who can make the decision on what care is the best for you. And one step further, even with the help of a skilled sports chiropractor, your progress and success in any training or treatment program depends on the work you put in. Working with a sports chiropractor, however, can be a big factor in your overall success.